You may think Ipswich is a bit of wasteland when it comes to food and booze, but things are definitely starting to change out there in south west. No longer just home to fast food chains and takeaway spots, there are some eateries dishing up feeds to rival the city, for breakfast, lunch and dinner. They’ve even got their own brewery out there – it’s a wonder they bother coming to Brisbane at all! In case you’ve missed them, here’s a few of the Ipswich restaurants and cafes you need to check out next time you’re in the neighbourhood. Lotus Café | Springfield If you’re looking for a place to relax for a nice, easy Sunday breakfast or lunch then look no further! Lotus Café is tucked away off the Centenary Highway, but it’s friendly vibes makes it difficult to drive past. They have a great selection of simple, honest food like your favourite, eggs benny. 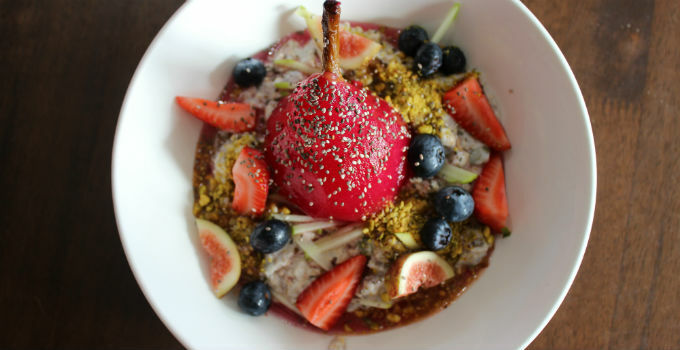 But for the healthier type we recommend the bircher bowl. It’s totally Instagram-worthy! Rafter & Rose | Ipswich Rafter & Rose’s laneway is the perfect place to pull up a stool on a Sunday morning. Not only is their menu full of brekky classics with a touch of Rafter & Rose charm, but you can grab a jar of their homemade jams and chutneys so you can get your fix at home. For a breakfast worth travelling for, make sure you grab the house brekky with poached eggs, rocket, avocado on toast topped off with their bacon jam. If that doesn’t get you straight on the Cunningham Highway, there’s no convincing you. Urban Pantry | Ipswich If you’re hungry but you’re not quite sure what you’re in the mood for, Urban Pantry is the place to go. Bring a friend and get the breakfast banquet, because why pick one item when you can try the lot. Everything is full of flavour, super fresh and made from organic ingredients, including the raw brownies and cakes so we can eat as many as we want! At least that’s what we keep telling ourselves. BLVD Restaurant | Springfield If you want downright delicious American soul food without thejetlag, BLVD Restaurant could be your new friendly neighbours. 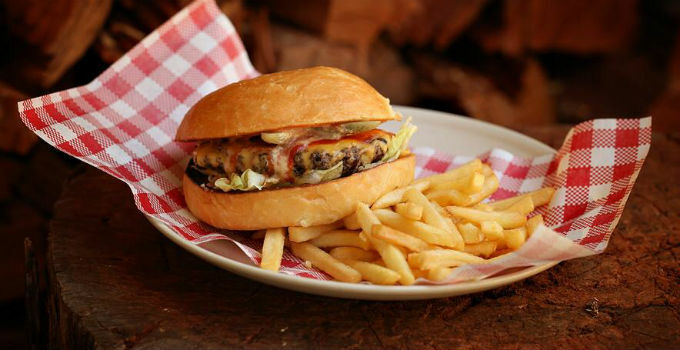 With award-winning smoked meats and an extensive menu boasting all things cheat-day appropriate – we’re looking at you, pulled pork dirty cheese fries – don some food-baby appropriate clothes and prepare yourself for a seriously good time. Pumpyard Bar & Brewery | Ipswich With home brews worth the commute and a menu a cut above your usual bar food, Pumpyard Bar & Brewery is one to put on your “must try” list. The menu is full of amazing flavours like bbq beef brisket with Pumpyard pickles, caramelised onions, and delicious sides – all paired perfectly with one of their own craft beers. Just make sure you leave room for dessert because the beer ice cream alone is worth the trip out west. Tap’d | Ipswich With the most taps of any bar in the country (72 if you’re wondering) you can kind of guess how Tap’d got its name. With such a huge selection of cider and beer, this is definitely a go-to Ipswich watering hole. Drinks aren’t the only reason to visit though, the bug and bird with tender chicken breast topped with half Moreton Bay bug, garlic mash, hollandaise and basil pesto will surely convince you of that. Heisenberg Haus | Ipswich This Ipswich favourite is the first German inspired restaurant in the area. Taking a little bit of flair from Breaking Bad, Heisenberg Haus is serving up the German classics like pork knuckle, sauerkraut, and chicken schnitzel. But it wouldn’t be German without a stein or two. Dovetails | Ipswich Combining the elements of history and nature, with an expansive deck overlooking the beautiful green park, Dovetails will have you considering making the move to Ipswich. Remnants of the old woodworking room that once called this location home, still resides in the designs of Dovetails both outside and in. Although there’s nothing old about the delicious French/Australian fusion style menu with options from beetroot risotto to kangaroo carpaccio – it’s worth multiple trips to give everything a try! Just make sure you come to these Ipswich restaurants with an empty stomach, you’ll need as much room as possible! Words by Ty Wood.